From left: Palitoy Tressy, 1964, sold in Europe, wearing tagged Tressy dress. 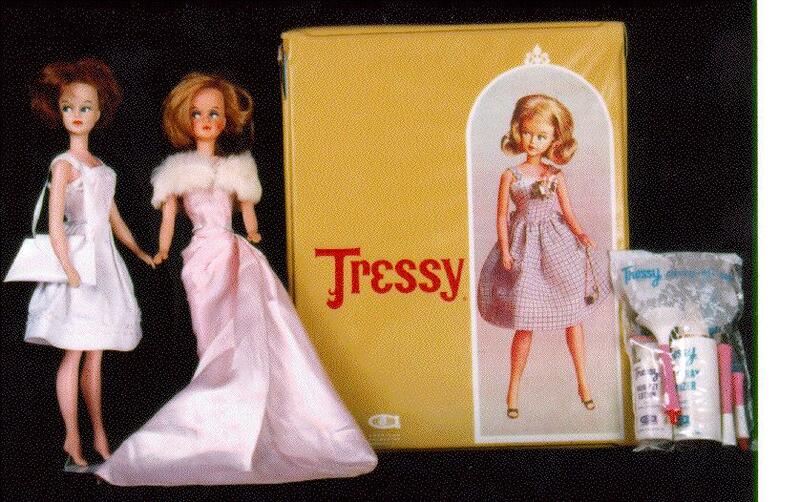 US made Tressy by American Character, 1964, wearing "Enchanted Evening" Barbie fashion......hey.......vintage Barbie fashions fit Tressy pretty well! Tressy case, the only one I have ever seen, and a small accessory bag of Tressy's hair care products, and make-up sticks.